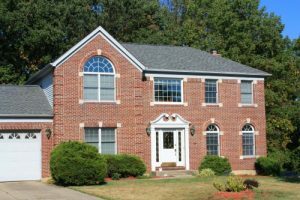 If you want to hire expert home improvement contractors for a project at your home in Cincinnati or a nearby area in Ohio, turn to Advantage Roofing & Home Exteriors. Since our founding in 2001, we have been providing our customers with premium products, professional installations, and top-notch service. Throughout our years in business, we have earned the reputation of being the area’s most trusted, reliable, and recommended roofing company – as evidenced by our A+ rating with the Better Business Bureau. Stands behind its promises – We offer outstanding warranties for our products and labor, including a workmanship warranty that matches the manufacturer’s warranty. Builds long-lasting relationships – As a family-run business, we value our customers and aren’t content to simply finish a project and walk away. Instead, we’ll be there for you if a problem ever arises, even if it’s decades down the road. Hires only detail-orientated specialists – In fact, once a job is complete, our experienced associates perform a final inspection to ensure the project has met our high standards and that the home is left in neat condition. Here at Advantage, customer satisfaction is a top priority. For instance, we will do a follow-up inspection after the one-year anniversary of your home improvement project. During the inspection, one of our specialists will ensure that your new roof or other home upgrade looks great and is working properly. This is just one example of how we’ve been raising the bar as home improvement contractors since our founding. To learn more about how we stand out from other home improvement contractors in the Cincinnati, OH, area, contact Advantage Roofing & Home Exteriors today. When you do, don’t forget to ask about the financing opportunities we offer qualified homeowners.